OK – I am back to blogging and will attempt to backfill my SAS life this past summer – finishing the story is probably really for me but I hope you enjoy some of the bits as well. Remembering that….home is where you have your people and can be anywhere you are, feedback is love, everything is gloriously unfolding as it should, people around the world all want (need) the same things yet there are chasms to be bridged, language is to be used, embraced, tested, practiced and loved AND how blessed I am, we are, to have had that voyage together. Transitioning to home in Fairport (and the US) was eased by best friends, kind neighbors, my Circle of Trust and being able to call anyone anytime without having to find free WIFI! I will say, it was (is) so much harder than I thought and seemed like it was taking longer than it should. How long SHOULD it take? No rules on that I suppose…It was wonderfully helpful and healing to see all the FB posts marking our time away from the MV Explorer, “A week (2 weeks, a month, 6 weeks) ago, we went down the gangway one last time”…so many great photos, thoughtful comments and reassuring nudges – then photo evidence of mini SAS reunions popping up here and there – groups of us meeting up on purpose, by accident, by grace. AND the weird sensation of thinking I was seeing familiar faces in the store, on the street, in the airport – but not the REAL faces…. Maybe others would think that this was just a summer trip, a cruise, a vacation…that’s OK – parts of it felt that way! However, it may be impossible to convey exactly what it was like to be on that beautiful ship together…for me? Transformative, affirming and challenging – personally and professionally. And loads of fun and laughs! 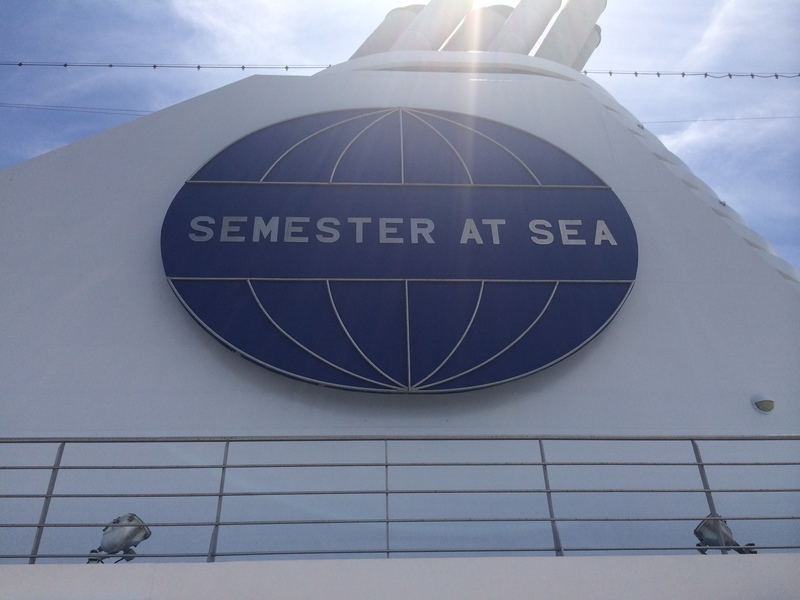 The Fall 2014 Voyage is weeks underway – they got on the ship the very day we got off – which was comforting in some ways and sad in others…our ship!…but really *OUR* SHIP! All of us….10 years of SASers on this vessel before us and a few more years after us. 50 years of SAS and going strong. How wonderful to be part of this global family. As picture them leaving Lisbon today I am reminded of the wake of our ship – the color of the wake there – a rolling aqua-teal blue – that kept me focused on the beauty of the past and the ever-forward movement required to get to the next port…hmmmmmm….life metatphor, eh?